services who are the senior most living officers. They were the first generation of Independent Ceylon's officers - their predecessors were of World War II vintage with services under the British in the Ceylon Defence Force: The Ceylon Royal Naval Volunteer Reserve or the Royal Air Force. Unfortunately, I could not interview two more officers due to their illness at the time. 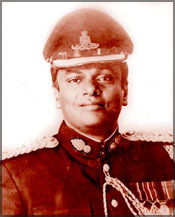 The officers I wrote on were: Lieutenant General Deshamanya Denis Perera, Rear Admiral Deshamanya Basil Goonasekara, Air Vice Marshal Deshamanya Paddy Mendis, Air Vice Marshal Harry Goonatilake, typical of the public school boys of their generation. They were academically sound having matriculated or passed the school certificate which were qualifications required of the academies they were admitted to in the UK. They indulged in extra curricular activities and sports and above all conducted themselves as gentlemen. They, as detailed in my articles, developed on the foundations laid by their predecessors, went further to build their respective services to be professional and also live comfortably. I have had many calls congratulating me on the choice of military leaders who will, I hope, inspire the younger generation for whose benefit I wrote these articles. I have also been cautioned not to place some Commanders who came in subsequently in the same category as those whom I have portrayed. Some have been exceptional Commanders who were also exemplary and gallant, whilst there were some who did not conduct themselves as they should and there were a few who thrived on political patronage. It would be invidious to pick and choose the good from the bad. This week I pay tribute to those senior officers who sacrificed their lives in defence of the motherland. As it is not possible to get a first hand "life story on them obviously and their tribute is here briefly". 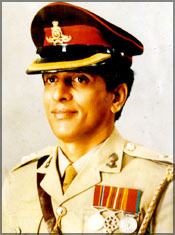 Major General Wijeratne was a brave son of Ruhuna and highly respected and very intelligent officer from the Sri Lanka Light Infantry Regiment. He died on 18th December 1990 at the 10th milepost along Trincomalee-Anuradhapura road due to a landmine explosion. 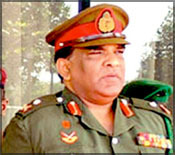 He was the Commander of 22 Brigade in Trincomalee at the time of his death. 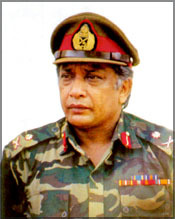 The most outstanding military leader of the era died on 8th August 1992 due to a landmine explosion at Araly in Jaffna keeping the whole country in tears. He was an Armoured Corps officer and was the GOC of 2nd Division at the time of his death. Another dynamic military leader from down south died at the same incident on 8th August 1992 at Araly in Jaffna along with General Kobbekaduwa. He was a Gamunu Watch officer and the Security Forces Commander in Jaffna at the time of his death. 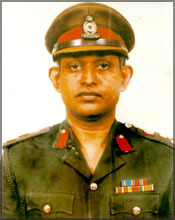 Lt General Angammana, also another highly respected and well -versed officer of the Regiment of Engineers, died in a landmine explosion at Valachchenai in Batticaloa area on 30th July 1995. He was the GOC of the 3rd Division in Batticaloa at the time of his death. An Artillery officer with unique qualities loved by all died in a LTTE suicide attack in Jaffna on 4th July 1996. 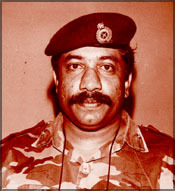 He was the Commander 512 Brigade responsible for the security of Jaffna town at the time of his death. Another Artillery officer loved by Jaffna people. He was killed by an LTTE suicide bomber at Velvetiturai on 14th May 1998. He was commanding 514 Brigade at Vadamarachchi in Jaffna. A brave officer from the Sinha Regiment died due to an improvised explosive device 0n 11th September 1998. He was the Commander 512 Brigade at the time of his death. A brave Commando Officer who died at Elephant Pass on 24 March 2002 when the LTTE attacked the Elephant Pass camp. Rear Admiral Jayamaha was a well qualified Naval officer from the first intake of Naval Officers trained in Sri Lanka and a great leader. He died with General Denzil Kobbakaduwa in the same land mine explosion on 8th August 1992 while serving as the Commander Northern Area. A very dynamic pilot who died on 29 April 1995 when the air craft he piloted was struck by a missile attack on his way to Jaffna to do the Court of Inquiry of the attack on the first Avro aircraft on the previous day. 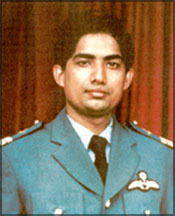 He was the Commanding Officer of Flying Training Wing at Ratmalana at the time of his death. He is also the younger brother of present Air Force Commander Air Marshal Roshan Goonatilake and the youngest son of Former Air Force Commander Air Vice Marshal Harry Goonatilake. 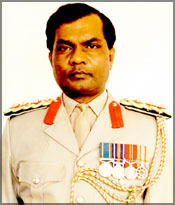 Major General Parami Kulatunga was a respected Gemunu Watch Officer. 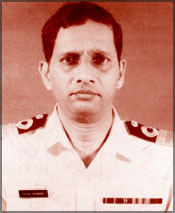 He died due to a bomb explosion at Pannipitiya junction on his way to Army Headquarters on 26th June 2006. 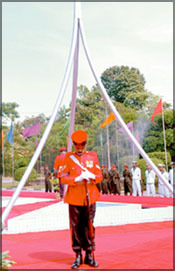 He was the Deputy Chief of Staff of the Sri Lanka Army at the time of his death. The names of all these heroes, along with 22000 others of the Army, Navy and Air Force who laid down their lives in the defence of the motherland are engraved in stone at the Remembrance Park at Mailapitiya (on the Kandy-Mahiyangana Road). The remembrance park was the brainchild of Lt. General Denis Perera who as Chairman of Ceylon Tobacco Company spearheaded the committee, which raised funds from the private sector and individuals. It was ably supported by the Ranaviru Seva Authority headed by Dr. Narme Wickramasinghe. This organisation also made a significant contribution in cash and kind. The project was managed by Lakshman Nugawela of CTC who himself had military connections. This park was opened by President Chandrilka Bandaranaike Kumaratunga on Ranaviru Day and has been commemorated annually. The Forces send various regiments and units to visit the Park to pay tribute to their comrades. The Park is beautifully laid out, on the banks of the Mahaweli and nestling in the hills off Kandy. It is a place of pilgrimage and it is located in a serene setting. It is not a cemetery and no body is interred there. All over the world Remembrance Parks are located in quiet surroundings where people can meditate and pray undisturbed by other distractions. There are four altars for the four main religions practiced in Sri Lanka - Buddhism, Hinduism, Islam and Christianity.